This generation is born and ordained to be revival carriers! Ambernath, a small, dusty suburb on the outskirts of Mumbai, seemed quite the contrary on God’s radar as the place saw a mighty outpouring of the Holy Spirit, as God amazingly led us to organise the Ambernath Ablaze. with preparatory work for the conference as early as in June this year with the meeting up and organising with leaders in Ambernath and neighbouring towns. As the team began with the groundwork, prayer partners began praying 40 days prior to the meeting, and friends and partners sowed financially into the event. The conference, scheduled on October 18, 19, 20th 2013 was held in Suryoday Hall in east of Ambernath. The first day of the meeting was hosted by Lincy Santosh. The intercessory prayer was led by Sasha Kunder. Pst Praneet Calvin and his team led the people into an amazing time of Praise and Worship. Pastor Priji Varghese shared from the book of Jonah, which is a message of grace yet begins with the pronouncement of judgement. He emphasised how “Revival was the dynamic combination of God’s word and the work of the Holy Spirit”. The Word came to Jonah when he pursued God, making waiting on a God a necessity for us. When Jonah fought the purpose for which he was sent to Nineveh, he lost the presence of God. Every storm and persecution against revival will push us into Revival, just like how a storm changed the course of his life. The message was simple: one had to die to self and lead to the Spirit. The second day of the conference took off from the highly Spirit filled close of the first day. 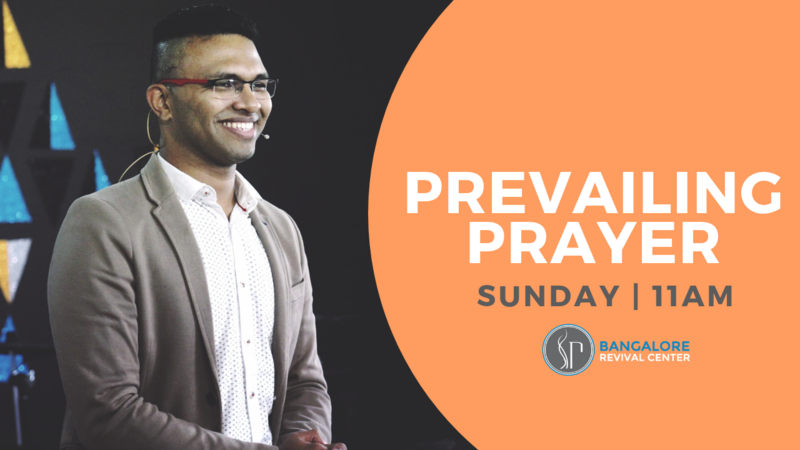 Hosted by Suzanne Kunder, it started with intercession led by Pastor Priji Varghese, followed by a time of powerful worship led by Pst. Praneet Calvin. Pst. Chethan Henry shared from the Word as he introduced the Holy Spirit back to the people, sharing from Luke 3:16. He explained the significance of the baptism in the Holy Ghost. “Jesus will not just baptise you with fire but with God Himself, because the Holy Ghost is the third person of the Triune God Head.” Holy Spirit is not just the power, it is God Himself. And when there is Holy Spirit, there is power. When the Holy Spirit comes upon you, you will be the carrier of restoration. God doesn’t live in the past. He lives in the present and impacts the future. The third and the last day of the conference was hosted and led intercession by Blessen Varghese. Pst. Praneet Calvin and team were back, bringing down heavens through their leading of worship. Evg. Hari Rao, the speaker for the evening began ministering with more worship before he could share from the Word as the Spirit mightily moved in the midst of people, leading him to pray and prophesy over the attendees and worship team. For the sermon, he shared from the passage of John 6: 1 -13, by proclaiming, “Your basket will overflow from today”. Encouraging the people to become lovers of Jesus, Evg. Hari highlighted how the crowds who followed Jesus for miracles in the valley were only witnesses of the miracle, but on the mountain top Jesus’ lovers i.e His disciples were carriers of the miracle. God is an expert in extracting the extraordinary out of the ordinary. Pray extraordinary prayers to provoke God’s strength in motion. Those who came for the miracle left with the miracle but those who came for Jesus left with Jesus. The three days of meeting proved to be a time of intense blessing as the glory of God came down and people testified to open heavens over their lives. The meeting saw around 400 people who were a part of this conference. Numerous healings were reported. Deaf ears opened up, strength was restored in invalid limbs, sick were healed, demons were cast out, lives were touched and souls were transformed for Jesus. Testimonies poured in stating how the conference had blessed individual and corporate lives. This is an opportunity we would like to take to thank and appreciate you dear friends and partners for sowing into Ambernath Ablaze through your consistent prayers, support and offerings, which made this happen. To find captures of moments from Ambernath Ablaze, please follow the link here. Ambernath??? Neva heard of it……Elated to see God leading you to top(Delhi) and small areas….Excited on hearing about the reports….Bless your hearts!!!!!!! Thanks for continuing to keep the whole thing in prayers! It is such an encouragement to read your testimony. Let us continue to pray and dream for a revival that will spread all over the nation of India! Blessings!